The final issue!!! (Great cover too!) I guess it's true what they say, you can't face an elder god without losing either your mind or your continuing series. That's what's happening with Gwen: The soul-sucking, Innsmouth-generating space-Cthulu (Xitalu for short) that's menacing the planet has arrived and started chowing down on Earthlings. Luckily, Gwen has a plan. Unluckily, it involves filling herself up with so many (living) souls that she is essentially a Giant Gulp of spirits (last Friday night), then feeding herself to the space monster so that it will take a nap (food coma!). Unfortunately for the plan, however, her friends and family's penchant for sticking together in times of trouble has landed all of them in Giant Gulp ground-zero. Is saving the world worth it if you have to kill everyone you love to do it? And, more importantly, will the were-terrier get the guy before it's too late to ride off into the sunset (of existence)??? All endings are beginnings too, especially with next month's issue zeroes for the DCnU books. This week Martian Manhunter breaks up with Stormwatch, ending the first era of the Stormwatch epoch. But, because he wears a cape, he has to do it the only way superheroes know how: with a knock-down, drag-out brawl! In space! Strong Guy's been dumped. And, as we all learned in Teen Wolf this week, when you die and come back your a soul gets replaced by a hottie-cidal fury that makes you exact indiscriminate vengeance on every Tyler you come across! Using a Colton Haynes!!!! Two of my favorite queer characters showed up again last month!!!! Willow and Daken are rocking new books and, with only one back issue to pick-up, we should all go check them out! 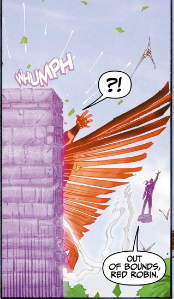 Willow's teaming up with the Angel-verse (Faith, Angel, and Connor) to go to a hell (Quor-Toth) to try and bring back magic! Meanwhile, it looks like Giles' nieces are going to have to take care of some unwanted vampire thieves before they can get back to their TOWIE marathon. Vampires and stuff and Lafayette! Yeah, I read last month's issue and I still don't understand the solicit. Evidently "secrets" are "revealed"? Yeah, riiiiight. Only if this is the last issue in the series! Duh! New storyline pitting Wonder Woman against the villain-from-a-million-issues-ago, Apollo! Plus, Zola has her baby!!! And is Strife on Team Wondy now???? The last issue in this parallel-story-arcs, urban-legends-attack, jigsaw story! I'm excited to see what stops get pulled out! The focus is on Layla this issue. I know nothing else. This new story is called "Curse of the Constantines". Awesome! Karma's back! Well, grisly Karma from the future. With crazy Warlock armor? Oh, time travel... That robot leg better do something now though! I love that this book is basically the Summers girls and a rotating cast of the Buffy-verse's catalogue of queer characters. Kennedy takes her turn at the plate this storyline with a job offer for the Buff-ster: bodyguard! I have consistently forgotten that Madame Xanadu, bi seer-supreme, is in the book. Shame, shame, shame on me. 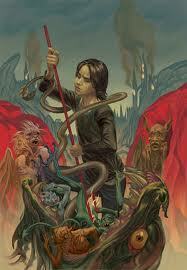 :( This issue everyone is turned into a demon! I am so excited for this book. It feels like there are 50 queer characters, all of them compelling and effed up, but none of them blown up on a train. Please pay attention, rest of the comic-verse. 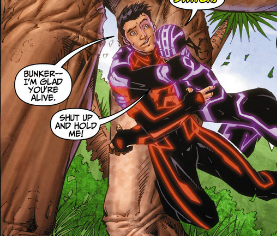 Superboy house-hunts while Bunker helps him wallop a Decepticon. Bunker, you are living my dream. For the past few weeks, the queer comic-verse has been spinning with news of Marvel and DC's competing LGBT announcements: '90s groundbreaking gay character Northstar's nuptials to boyfriend Kyle; and the introduction of a gay iteration of the iconic first Green Lantern Alan Scott. 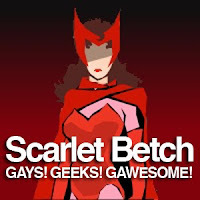 Here at Scarlet Betch, we were even more excited when previews for the introductory issue included the first appearance of Scott's boyfriend, Sam, a CEO from Hong Kong, and presumably a queer Asian character. Now, I'm not sure how many of you are aware of this, but queer Asian characters are hard to come by in comics. I think I can list them on my hand: Karma, Daken, Grace Choi, Satsu from BtVS... So, the possibility of a queer Asian character linked to a key iconic DC heavy-weight like Alan Scott was really exciting. Sam could be the Kyle to Alan Scott's Northstar. However, the outlook for Alan/Sam didn't look so great after last month's Earth 2 #2, where after an anemic screen time of a few pages as a couple, Alan and Sam are engulfed in an explosion on their train, just as Scott proposes marriage. 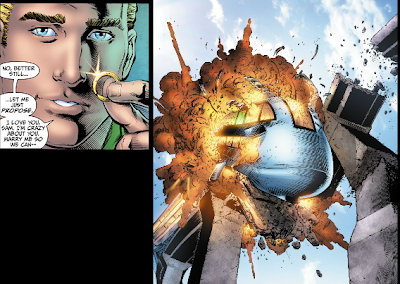 The flash of green within the explosion at the end of the issue gave us a hint of hope that Sam might be spared the very "women in refrigerators"-like end he seemed to be set up for. Perhaps Scott would develop his powers in time to save his boyfriend and bring him back from the brink of death. We're back with another great episode. This week we discuss Earth 2's Green Lantern and his boyfriend (queer & Asian!) Sam and some misgivings and concerns regarding the disturbing trend in comics and queer characters of color. Also the SUPERB Superbia and its abundance of queer storylines. Independence Day! Buy some indie comics AND Earth 2 #3! GREEN LANTERN ORIGIN STORY! I AM SO EXCITED!!!!!!! The Engineer takes on the shadows! Are Apollo and Midnighter broken up??? It's field trip time! The crew has split up for a series of quests, and first up is Banshee against... a banshee?!?? !